The first office in the world with the internet supplied using the lighting is set to open in Paris this year, Lux can reveal. It will be the first major commercial installation of so-called Li-fi, a form of Wi-fi where the information is embedded in the visible light spectrum by the light fixtures. Tech start-up pureLifi – based in Edinburgh, Scotland – will provide the technology and French manufacturer Lucibel will supply the LED luminaires for the ambitious installation at the headquarters of Sogeprom, the property arm of French bank Société Générale. The suppliers are stressing that the project will be true high-bandwidth bi-directional Li-fi, with a user experience similar to Wi-fi. Employees will use a special dongle inserted into their computers and other devices to receive the internet via visible light from the LED lighting. A photoreceptor on the dongle will receive the data embedded in the modulated visible light. Similarly, they will upload data using an infra-red transmitter embedded on the dongle. Announcing the plan at the Lighting for Rail conference in London, pureLiFi’s director of business strategy Nikola Serafimovski, said the project would be ‘the world’s first true Li-fi solution. ‘It’s high-speed and bi-directional, so there are both downlink and uplink communications. As well as the networking capability, people will be able to take a Skype video conference call and move from one room to another without that conference call being interrupted. This is full bi-directional communication using light’. The new 3,500 square metre Sogeprom office – dubbed E+ – is a refurbished 1980s building in the commercial La Defense area of the French capital. 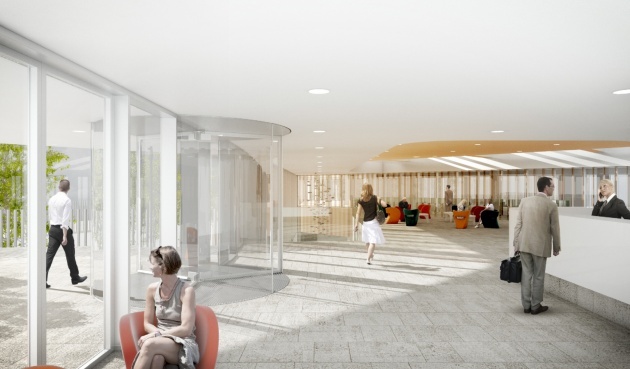 The refit, designed by architect Jean Mas, will see the building comply with Breeam and Effinergie standards. 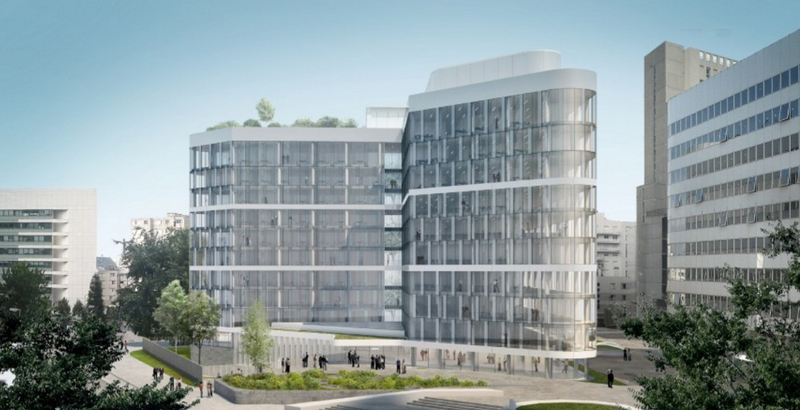 The decision to use Li-fi in the new HQ follows a ‘positive’ trial in June last year at the meeting rooms of Sogeprom’s current Paris office. ‘The installation of high bandwidth Li-fii in our offices fits our vision and perfectly fits with our client’s demands of increased mobility, system security and connectivity,’ Sogeprom’s deputy CEO Pierre Sorel told Lux. Professor Harold Haas,the founder of pureLi-fi dubbed the ‘Godfather of Li-fi’, described the collaboration with Lucibel as ‘an important milestone’ for the company. ‘It signifies that the lighting industry embraces the new ground-breaking business opportunities that LiFi will enable – these opportunities are on a similar scale as the photography industry’s move from analogue to digital technology’. As well as the first Li-fi enabled office, Paris is also set to be the first capital in the world using visible light communication on its transport system. Last month, a French firm won the contract to supply data-over-lighting technology on the Paris Metro. Paris-based Oledcomm, a spin-off of the University of Versailles, won the contract from RAPT to initially supply installations in 66 stations across Paris, involving over 250,000 LED luminaires. However, it has emerged that project is not true bi-directional communication, but a ‘broadcast’-based system providing location-specific information.